This soap is specially created for tender baby's skin. The soap is enriched with Natural oils of sandalwood, Almond and Moisturisers. Specially formulated keeping in mind baby's sensitive skin, this soap is endowed with anti-septic properties. Formulated with special care for infants, the soap is enriched with moisturisers, Almond oil and is free from chemicals. 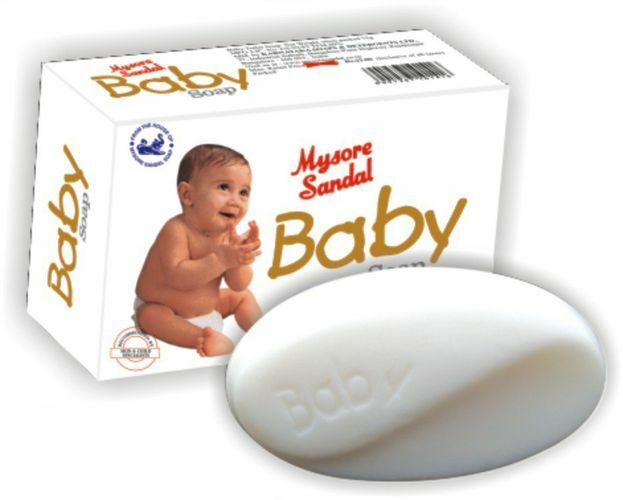 Mysore Sandal Baby Soap keeps the skin blemish free and lessens the chances of nappy rashes.